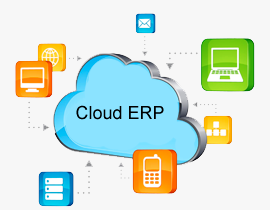 The right ERP software helps businesses to align their processes, improve their collaboration, efficient decision making and enhance overall productivity.It stands for enterprise resource planning, which assist worldwide organisations to effectively manage almost all aspects of a business such as finance, manufacturing, operations, sales and HR activities. Our company helps both established and budding businesses to stay competitive and improve their ROI at the same time. We help them to improve their inventory monitoring, and sales-order processing, which not only improves the overall operations of a business, but also improves its customer relationship management.